Are you considering upgrading your IBM WebSphere Commerce environment to the latest version, but don’t know where to start or what is important to consider? WebSphere Commerce V9 can help you innovate faster and make it easier to maintain your commerce platform in order to keep up with fast moving markets and changing customer expectations, but how do you get there? 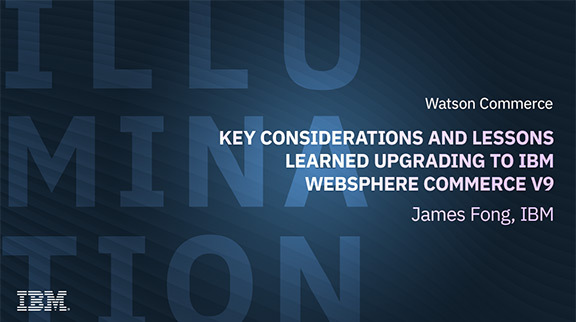 Join this webinar to find out as IBM commerce expert James Fong discusses everything you need to know about upgrading to WebSphere Commerce V9 and the lessons he has learned working with clients that have already made the move.